I am sure many of you are wanting to get that last winter family adventure done before the snow melts, right? Cross country skiing is always a fun family adventure for all ages! First off, you are going to need skiis if you don't have your own. HERE is a list of places where you can rent skiis. What about lessons? The great thing about cross country skiing is that because most of the terrain is going to be flat, or slightly "hilly", you can go without having a formal lesson. I remember my parents taking us cross country skiing when I was about 12, and we just went, put on our skiis, and learned by experience. We had many laughs falling down at first, but by the end of the day we were pretty good at staying up! Check the weather and avalanche warnings. Review Winter Mountain Survival tips. Make sure you have appropriate clothing and are dressed warm! The Survival Mama has great tips on dressing warm for kids and dressing warm for adults. Where to go? Should we go with a guide, or on our own? Like hiking, cross country skiing is one of those things you can easily do on your own if you don't want to hire a guide. Just remember that a well-trained guide can show you the best trails, and local wildlife to see. Wasatch Mountain State Park (Midway) 435-654-1791, Cross-country skiing is popular here. Visit their website for more info. Soldier Hollow at Wasatch Mountain State Park (Midway) 435-654-2002. 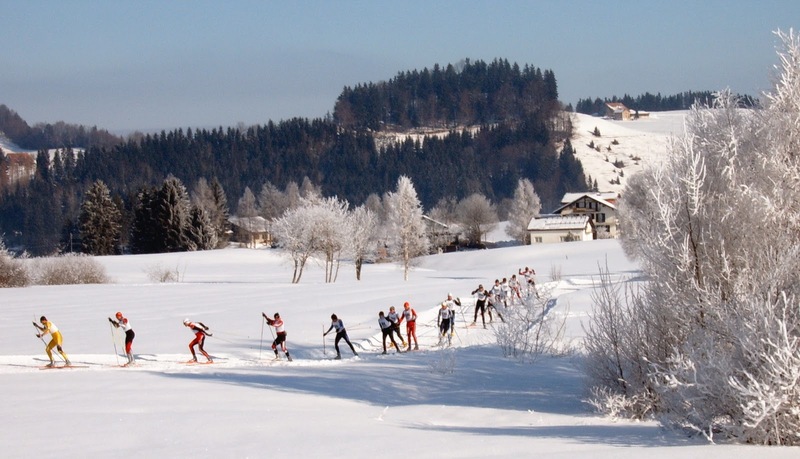 26 km of groomed trails, site of the Cross-country, Biathlon, and Nordic Combine Olympic competitions. Lessons and rentals available. Jordanelle State Park (by Heber) Call: Hailstone: (435) 649-9540 or Rock Cliff: (435) 782-3030. Their non-motorized cross-country ski trail offers access to the Historic Union Pacific Rail Trail State Park. White Pine Touring Center (Park City) 435-649-8701, 435-649-8710, 18 km of groomed trails, lessons, rentals available, and tours offered. The Homestead Cross Country Ski Center (in Midway/near Park City) 435-654-1102, 800-327-7220. Features 12 km of groomed trails, lessons and rentals available. Sherwood Hills (near Logan), 435-245-5054, 800-532-5066. 20 km of trails - 5 km groomed, lessons by prior arrangement, rentals available and night skiing. Solitude Nordic Center Provo Canyon (east of Provo) 801-225-4107, 800-892-1600. 15 km of groomed trails, lessons, rentals available and night skiing. Snowshoeing is also a great family activity, and all of the above information can be used for snowshoeing as well.